We released NetSim 9. If you haven't downloaded it, find out all about NetSim 9 here. This version of NetSim includes a new grading engine, updates to the Network Designer, a redesigned lab compiler, faster lab loading and more. We added new labs to NetSim. With various technologies updated and some added, we were able to include even more (and more advanced) labs. We had some fun. Birthdays and other occasions are always well-celebrated, and this year we marked different birthdays with ice cream cake, fruit baskets, pizza, and the best singing we could muster. 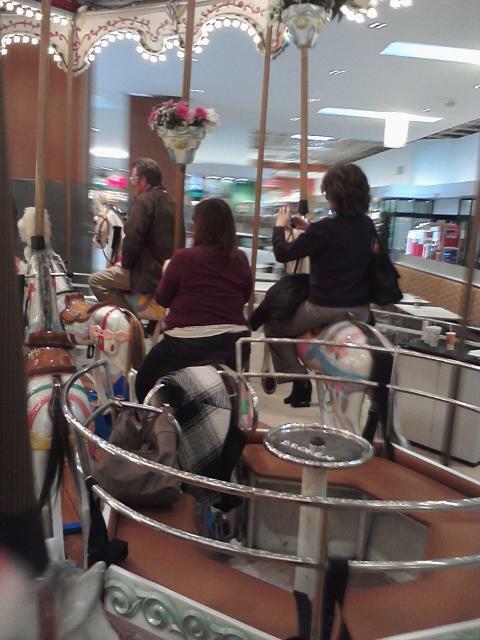 In addition, we visited Opry Mills a couple times and once rode the carousel as a group. Fun times, folks! We released the brand-new Cisco 200-120 (CCNA), 100-101 (ICND1), and 200-101 (ICND2) practice exams. These replaced the previous versions of the CCNA/CCENT practice exams and represent one of our biggest projects this year. On top of creating seven different 58-question practice exams, we included simulation and interactive items to give you the best practice-exam experience. We wrote more blogs, like this one. Typically they are much more interesting and informative. For example, in-house expert Boson Michael (his forum name) wrote a couple different blogs about Cisco's 642-832 TSHOOT exam, including "The TSHOOT Tree" and "TSHOOT – Stare and Compare". Witty-headline-composer James wrote about "Putting a Clock In It" and "Much Ado About Noting OSPF Area IDs". Delana wrote about printing woes. John wrote about the "Seven Layers of Networking". And our Windows expert Val continued his Tips and Tricks series. We conquered some challenging simulation items in our newly updated SY0-301 practice exam. You will now see some fabulously programmed simulations in this product. We updated our courseware for Cisco. The courseware, which covers ICND1 and ICND2, now matches the updates made when the product numbers were revised to 100-101 and 200-101. We created a brand new practice exam, EC Council's CEHv8. We created another brand new practice exam, Microsoft's 70-410. See a comprehensive list of all our practice exams. We added multiple IT training classes. There are almost too many to list here. You can see the full course catalog, 59 classes and bootcamps, on the sidebar here. We added practice labs for Microsoft, CompTIA, and VMware products. We updated a few CompTIA A+ products: 220-801, 220-802 and N10-005. We made it through a 14th year. Next year is our 15th anniversary. Time for a celebration!